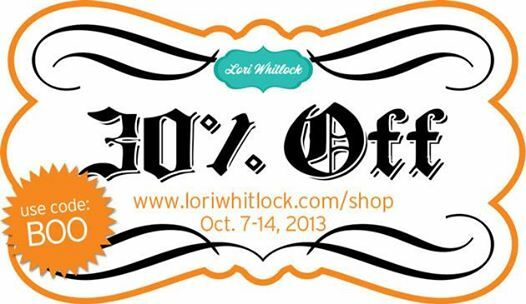 Corri Garza: Lori Whitlock Creative Team - October Blog Hop! 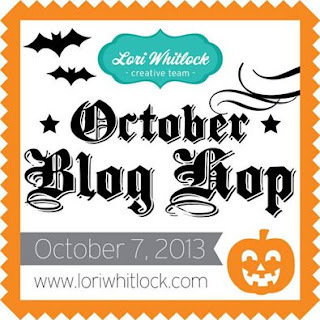 Lori Whitlock Creative Team - October Blog Hop! Hi everyone! Welcome to our October Blog Hop! You should have arrived here from Christine's blog....I just love her project! 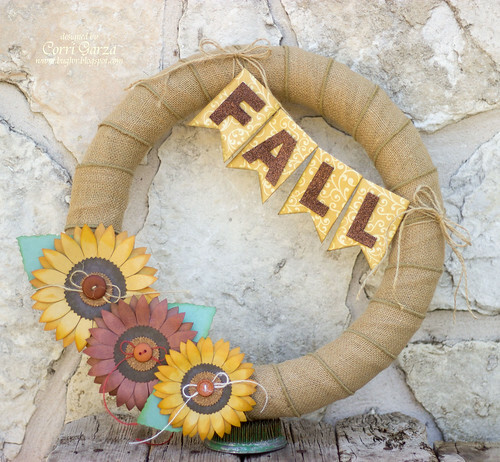 I love decorating my home for Fall so I used some of Lori's files to create this simple wreath. I cut three of the sunflowers....one at 5"w, one at 4-1/2"w and one at 4"w. The paper is from Lori's Reflections Fall Collection from Echo Park Paper. This collections works perfectly with the burlap ribbon I used to cover the wreath form. I used lots of ink on the flowers petals to make them look more realistic and added some cork pieces, buttons and burlap string to the centers. To create the banner, I cut some tabs from this set and then some letters using the Bubble Letter Font. The letters are cut from chip board and then I used spray adhesive to cover them in brown glitter. You can get all the files you need for you Fall and Halloween projects now....Lori is having a sale! I just love everything about this wreath. 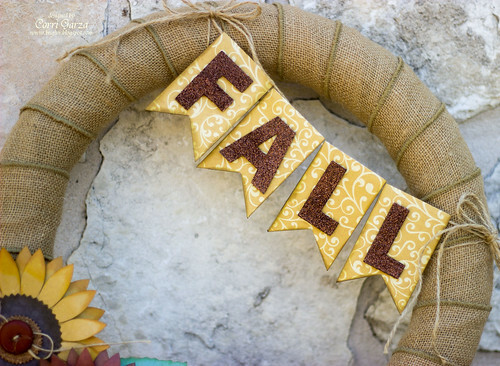 The burlap ribbon is a great way to cover a wreath form. I really like the colors you chose for the flowers and the banner. They just pull the whole thing together. Great project, thanks for sharing. Very pretty. Love my Cameo. GORGEOUS! 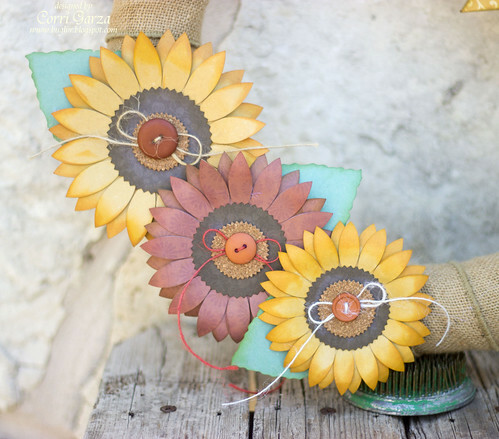 Love the sunflowers with the burlap. Well done! What a beautiful wreath! I do love it! I love all the wonderful texture in your wreath! I'm betting those letters look amazing with in the sunlight! Thanks so much for sharing! Just beautiful! Love the sunflowers and the glitter on the letters! This is such a beautiful project Corri, awesome job! !